The food court on the lower level of the New World Mall is certainly filled with plenty of wonders, foods from around almost the entirety of China are represented here, as well as some nearby countries. The region of China that is probably the most distinct from the rest, and grouped with Central Asia on this website rather than the rest of the country is Xinjiang. Worlds away from the Pacific coast, the original inhabitants here are Uyghurs, Turkic peoples that generally practice Islam and have a very different diet. Some of these foods have made their way east in China, mainly because of their deliciousness. 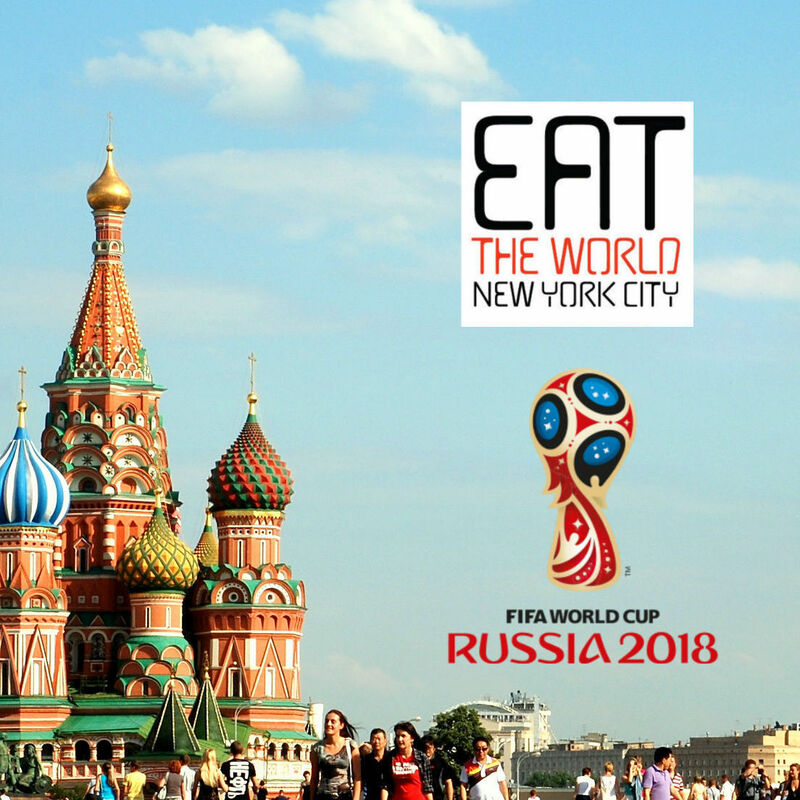 In major cities, there is often a large "immigrant" population and therefore plenty of restaurants to sample the foods. 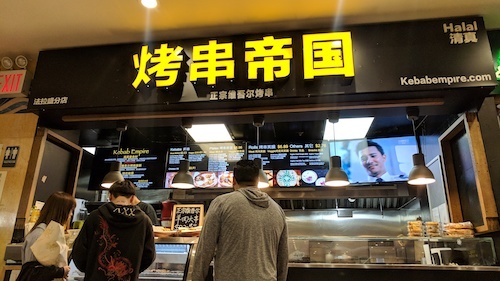 New York City is no different in this respect, and the foods of Xinjiang are readily available in Flushing, usually marketed to the mainly Chinese population here. The most prominent of these influences is the Xinjiang carts that dot the area, serving different types of grilled meats on skewers. Kebab Empire is the sit down version of this, upping the quality and adding other homemade dishes to their menu that could not be served on the street. Instead of the $1 street cart version, this luxury skewer costs $2.50 and is quite an upgrade. 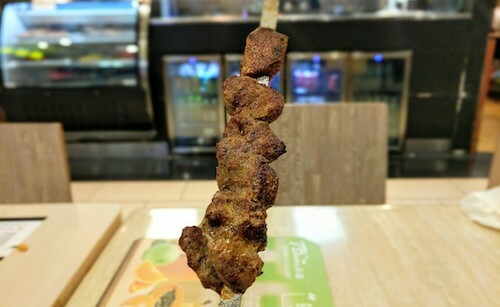 Just like outside, they will ask you if you want a dusting of spicy pepper powder, and serve you the kebab right on the skewer. 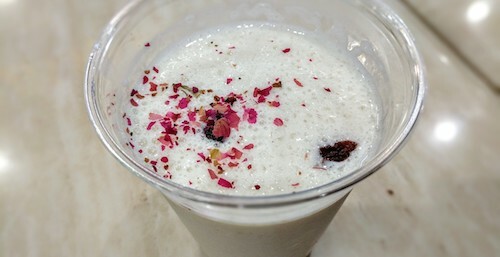 Another interesting offering here is doogh ($3, below), a type of yogurt milk drink that has cousins as far away as Turkey and is drank throughout Central Asia. The version here is sweet, while "doogh" usually refers to a salty drink that in Turkey is also called ayran. A vendor on the street might serve this in Xinjiang or Central Asia and call it durap, but this is just semantics. Raisins populate the bottom and the drink is full of sweetness that does not overwhelm. It is cool and refreshing, with a nice bit of sourness. Kebab Empire also serves plates of food for more hungry folks. These center around their kebabs, but are served with a nice round wooden plate with high sides. A layer of flatbread is placed on this and meat and rice are placed on top. All for $9.75, this is a deal that is hard to beat.